Harvard professor and author Sunil Amrith speaks to Rishita Roy Chowdhury about his latest book, Unruly Waters, which looks at the role water has played in South Asian history. 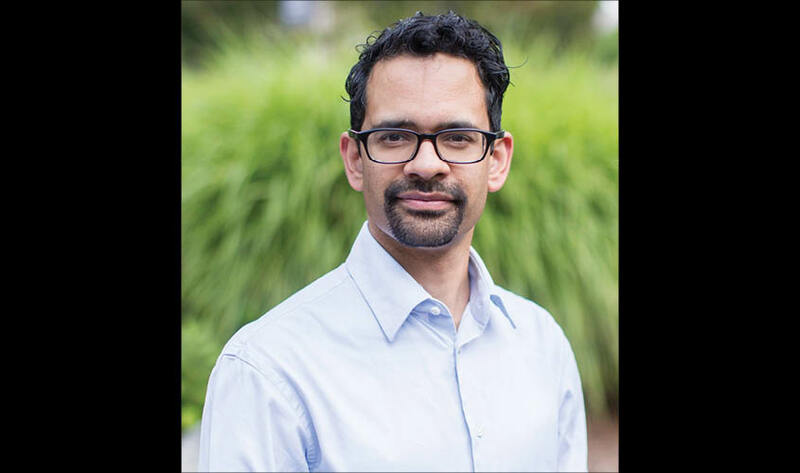 Sunil Amrith is an acclaimed historian and professor of South Asian Studies at Harvard University. He won the MacArthur “Genius” Grant in 2017. His latest book, Unruly Waters: How Mountain Rivers And Monsoons Have Shaped South Asia’s History, explores a continent’s history in connection to its rivers, seas and rains. In this exclusive interview with Guardian 20 Amrith talks about his book, the damaging effects of water politics and our looming climate crisis. Q. What was the vision behind putting together a historical account of South Asia as shaped by its waters, as you do in your new book, Unruly Waters? A. The vision emerged slowly, pieced together from many, initially disparate, experiences. Working on my previous book, Crossing the Bay of Bengal, I had spent a lot of time in coastal Tamil Nadu, researching the small port cities from which many migrants left for Southeast Asia in the 19th century—Nagapattinam, Cuddalore, Nagore, Karaikal, places like that. It became clear to me that coastal regions in India face a combination of threats: sea level rise, more intensive cyclones, coastal erosion, pollution, and reckless coastal development. At the same time, travelling further inland, I could see the scars of prolonged drought wherever I went. Farmers and fishers told me that they could no longer “trust” the monsoon. Water’s excess and its absence were everywhere on people’s minds. These observations cohered into something more tangible as a result of the inspiration I drew from scholarship I was reading at the time: China historian Kenneth Pomeranz’s vital 2009 article on what he called the “great Himalayan watershed”; Annu Jalais’s book on the Sundarbans; my Harvard colleague Diana Eck’s book on India’s sacred rivers; the classic work of Mike Davis on the water history of California. I was also reading lots of fiction and poetry that made me think about water in the broadest sense, from Amitav Ghosh’s The Hungry Tide to Alice Oswald’s beautiful poem, “Dart”, which tries to tell the story of the Dart river (in Devon, England) through multiple voices. Q. Tell us about the symbolism behind the word “unruly”, which appears in your book’s title. A. The image of “unruliness” encapsulates one of the book’s key arguments: despite concerted and even desperate attempts to control it, despite the apparent success of many of those attempts, water transcends human schemes and human borders. Climate change illustrates the power of human activity to shape the climate, yes—but it also reminds us of the power of nature, and the fragility of every scheme to conquer it. Q. In your view, how have the monsoons changed in India? What are the factors leading to such changes? A. What I say in the book about how the monsoons are changing isn’t based on my own primary research—I’m a historian and not a climate scientist. I draw my knowledge of changes in the monsoon from reading the very important research currently being done by climate scientists and tropical meteorologists both within and outside India; those works are cited in the book for readers who wish to delve more deeply into the science. What seems apparent is that the monsoons have become more erratic and more prone to extremes of wet and dry over the last few decades. There are many contributing factors at work—one is planetary warming. But there are also regional drivers of the change. Aerosols and changes in land use have both been pinpointed as altering the thermal and pressure contrasts that drive monsoon circulation. What is most interesting to me, as a historian, is that these changes in the monsoon in some ways reflect the particular trajectory of Indian economic history over the past 50 years or more, including the deep inequalities in access to energy and types of energy use that continue to characterise India. ‍Read full article . . .